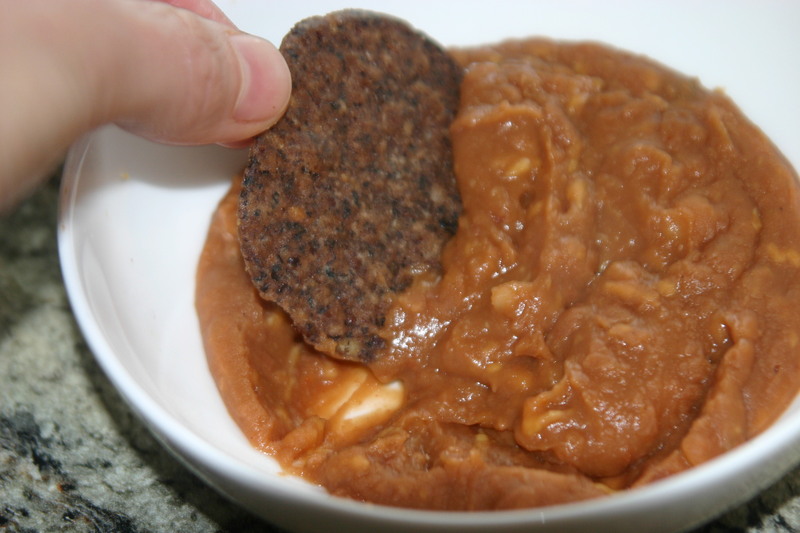 This bean dip is one my husband made for me the first time while I was pregnant and he was being delightfully sweet and making me a surprise dinner. Since then I have made it every few weeks. Pretty much whenever we have all the ingredients in the house. This is one of those vegan recipes that you crave, and really think there is no way it could be vegan. It is also gluten, soy, and corn free (all the things I am avoiding because of my daughter’s sensitivities). When you need that super yummy, feels bad for you, gooey, warm, salty, comfort food; this is the one for you. If you are being careful of the foods listed above make sure to read labels. Many canned refried beans have soybean oil, some liquid smoke has gluten, some salsa and hot sauce has gluten, soy or corn, and most vegan cheese has soy. Heat over medium-low heat stirring frequently until cheese is melted, about 5 minutes. Serve hot with crunchy dippers.